I was pleasantly surprised by this. I picked it up, was interested to see the short stories that featured, and there were some solid reviews about it. I had no real idea what to expect from the author, who is someone I had not heard of before, or his style of writing or the type of content. Something I am going to draw attention to from the off is the fact that Justin Bog can write. I mean it, really well. It flows quite well, each story brought something different to the table, even though a lot of them had repeating themes (such as oceans, twins, waves, paranoia, trees, psychological issues, names, etc). Bog’s writing style is engaging and creepy, and all his stories featured here are quite unsettling and psychologically creepy, crawling in under your skin. This might not appeal to the average reader, or someone who does not like some twisted tales, and it will upset those thinking they are getting a light, happy-go-lucky read. However, it totally ticked all my boxes for a short story. Doesn’t give away too much, but just enough to make you think, to wonder, and the way that Bog concludes the stories is also quite good, leaving a world of possibilities open to explore. Sandcastle and Other Stories is a really fast read, so it won’t demand an overkill of your time, and offers a great alternative to the average lot of short stories, something I am not usually a fan of. I looked forward to every story, and even when my mind went wandering, it never strayed too far, and always whipped back to the moment. Each story contains a darkness that is executed very well, and some of these stories linger long after you have moved on. I am so glad that I took a chance on this, as I am certainly looking forward to reading more of Bog’s work, I would love to see how a full fledged novel from him would play out. 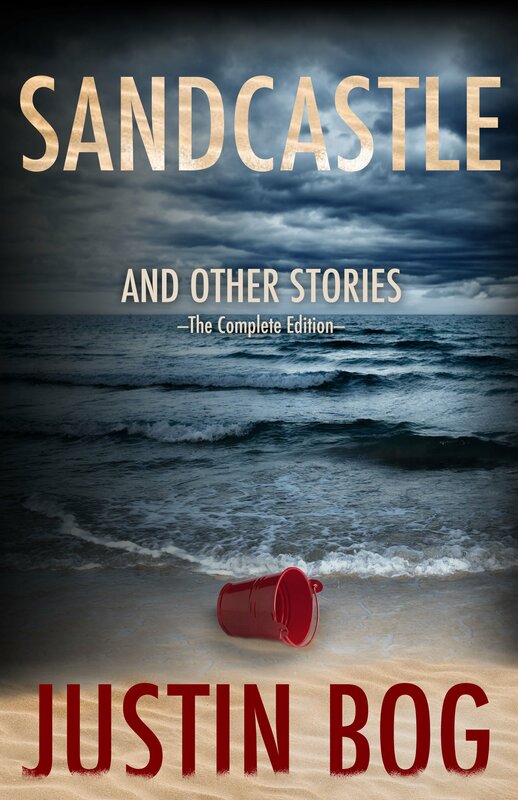 If you are into short stories, or would like something that is quick but different, I would highly recommend Sandcastle and Other Stories. This entry was posted in Books and tagged books. book reviews, Justin Bog, Netgalley, new author, quick read, short stories, thoroughly enjoyed it, well worth a read. Bookmark the permalink. Sounds really good. I always liked Stephen King’s short stories so I can imagine this being similar. It was quite. I think you might like this, very weird.